Ready for the sunshine? Summer Recreation awaits! 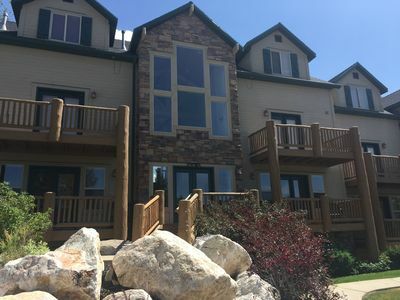 Professionally decorated five bedroom townhome is on three levels offering plenty of separation for different activities. 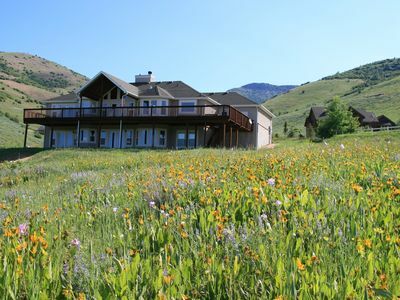 This exquisite property is just 10 minutes down the access road from Powder Mountain and a short drive to either Snowbasin Resort or Wolf Creek Utah Ski Resort. There are two full masters, each with private bath suite with deep whirlpool style tubs, over-sized glass enclosed showers, and double sinks. 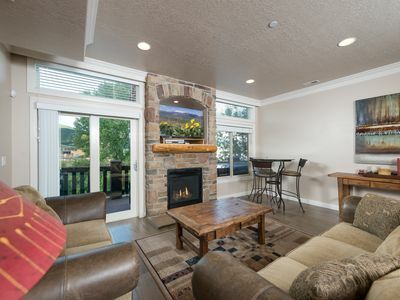 There’s also a gas fireplace and kitchenette in one suite for the couple who MUST have their coffee before seeing the rest of the group! The adjoining loft area is the perfect reading room with comfortable seating and lots of natural light. The main level features a gourmet kitchen flowing into the dining and living rooms. 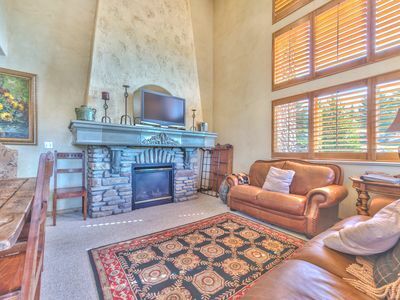 The living room is outfitted with designer leather sofas centered on a gas fireplace with flat screen TV above. 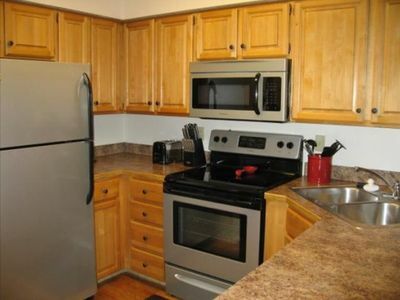 The laundry room is conveniently located just off the kitchen (for easy multi-tasking) and there’s an attached two car garage. 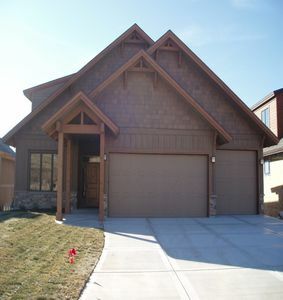 On the lower level, there are three additional bedrooms and a full bath. The lower level family room opens to the private hot tub and includes both a foosball and card table. The attached media room is sound insulated and features a big screen TV for movies and electronic games. 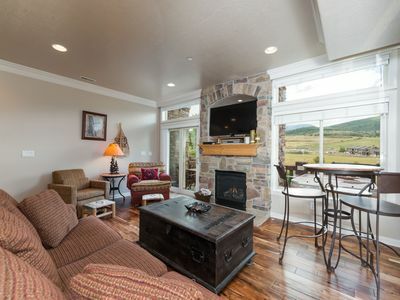 The Cascades at Moose Hollow provides all of its guests and owners with a 3000 sq. 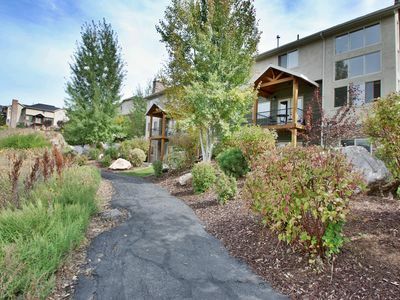 ft. clubhouse, fitness area, ping-pong table, heated pool w/year-round hot tub, sauna, volleyball, and hiking trails. Daily shuttle to Powder Mountain. Luxury Lodge Home. Ping Pong/Pool/Hot tub= Amenity Rich. Snow is falling!!! 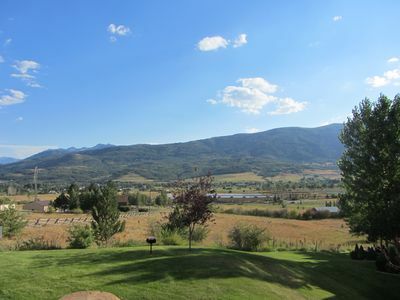 Deluxe 3br 3 Bath Condo - Book Your Winter Outdoor Activity Fun ! 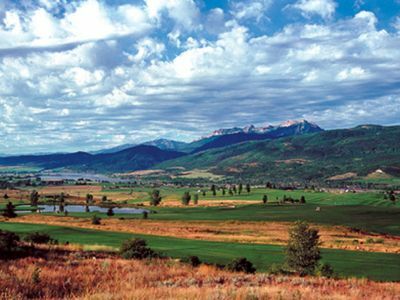 Snowbasin - Utah's Hidden Skiing Treasure! Yes ... step out into heaven!